Maximize exposure and generate more sales with our advertising and marketing integrations. 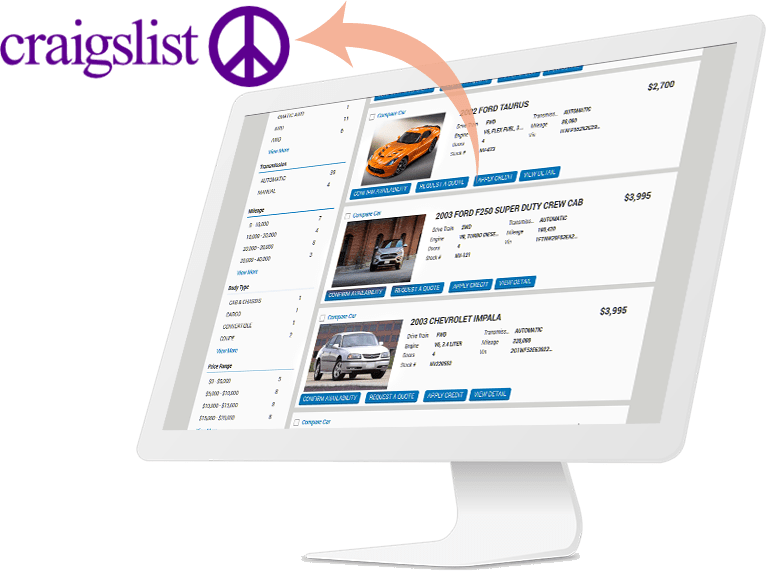 Automate posting inventory to any site, including Craigslist, Autotrader, CarGurus, Cars.com, Facebook and many more. Configure posting frequency and automation preferences. Enhance vehicle images with photo overlays and editing tools. Establish custom feeds to any site you want to list your inventory. Automate postings to multiple markets. Schedule specific posting times and days to optimize results. Utilize professionally-designed ad templates or customize your own. $5 pass thru per post, no mark-up. 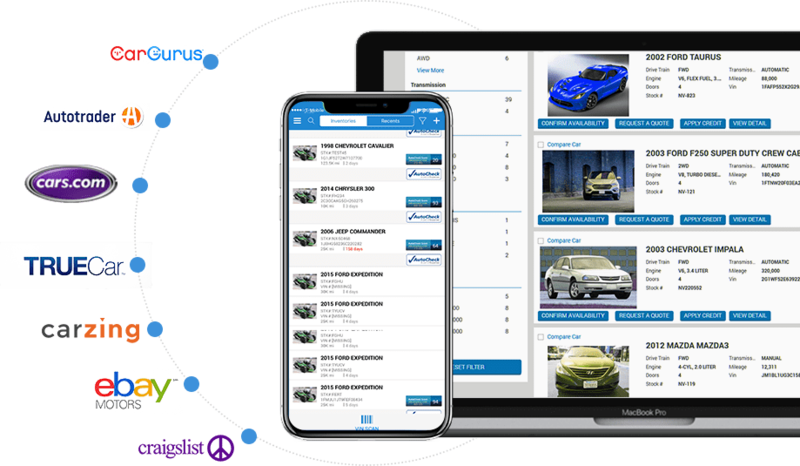 Car listing site with instant prequal integrated. inquiries directly into any DMS, CRM, or email address. Customize prequalification settings and profitability minimums. 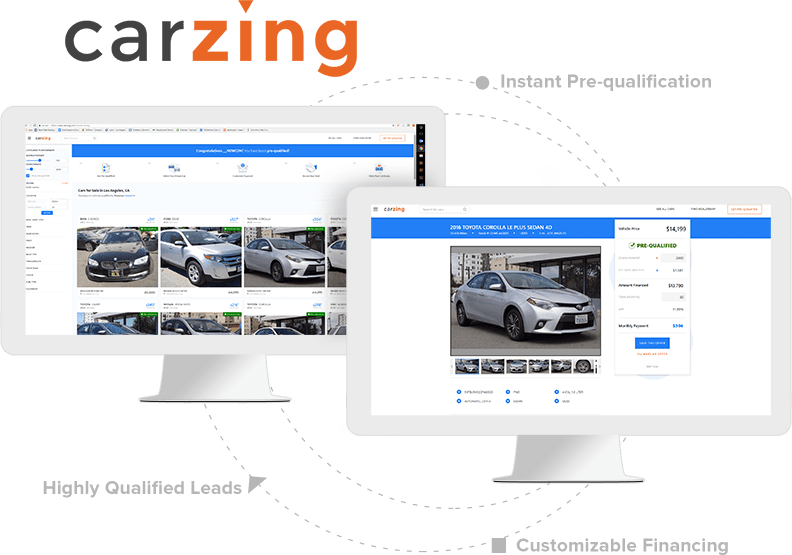 Send prequalified leads, prospect offers and vehicle inquiries directly into any DMS, CRM, or email address. Fully automated with new vehicles added to your website. a quote, and more directly from Facebook. 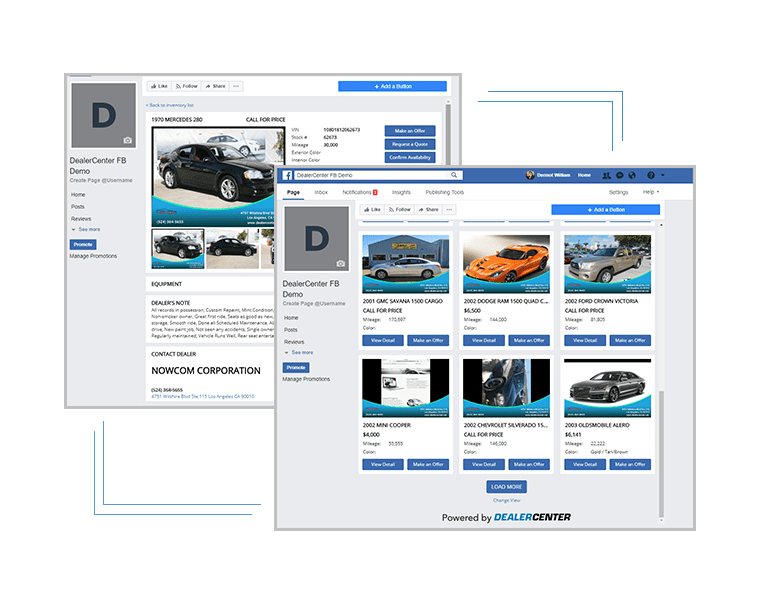 List inventory on a custom tab on your dealership’s Facebook page. Customers can make offers, schedule a test drive, request a quote, and more directly from Facebook. to sites such as Facebook, Twitter, and linkedin. Available in partnership with Youtily. 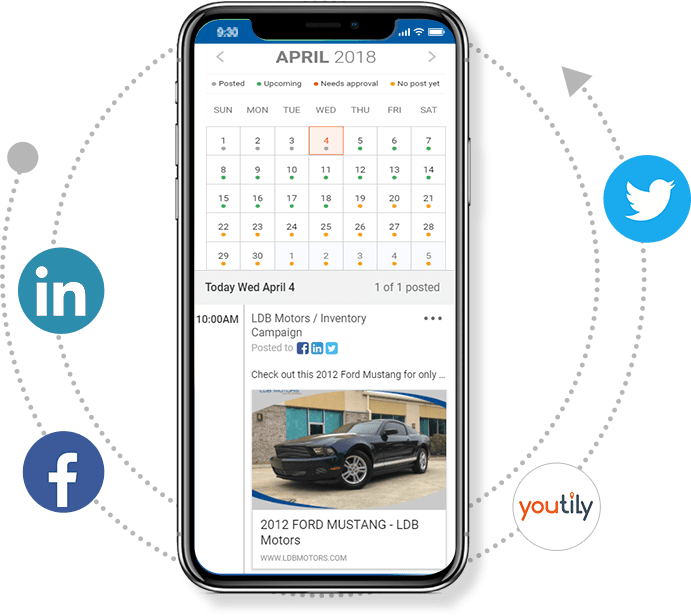 Automate daily posts with industry content and vehicle listings to sites such as Facebook, Twitter, and linkedin. Manage your own social media activity with our integrated scheduling calendar. 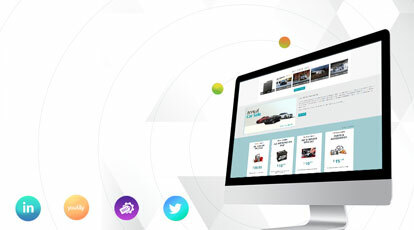 Branded inventory ads shown to car shoppers on Facebook, Instagram, Google, and more. 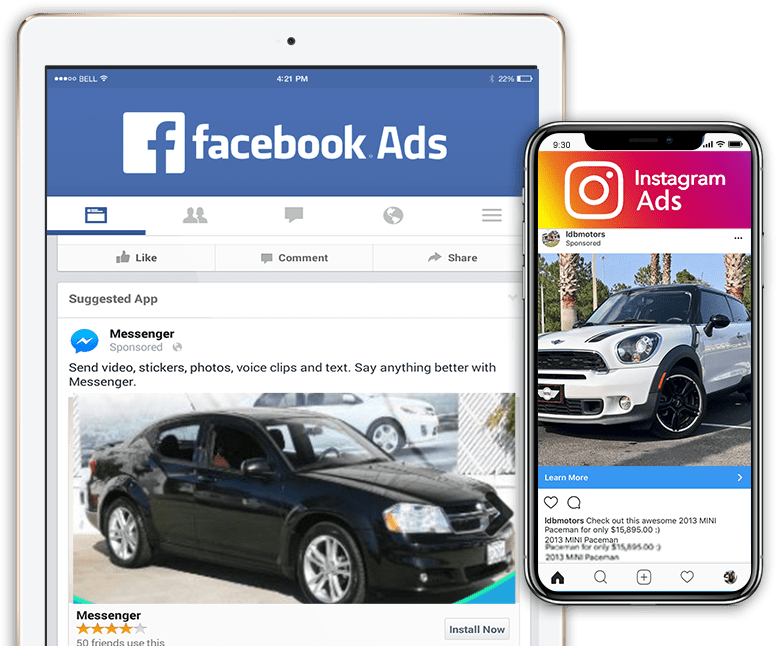 Ads include Paid Search, Social Media Ads, and Retargeting. No setup fees, fully automated and you set the budget! Track leads from all digital marketing campaigns. 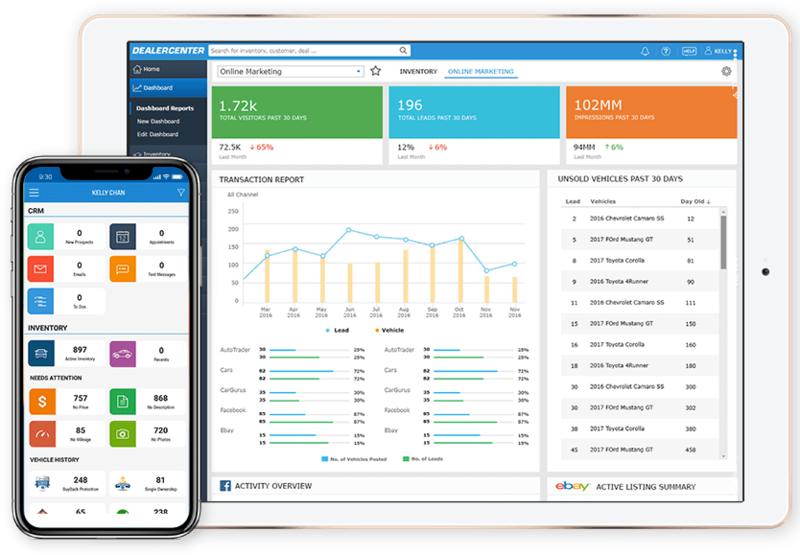 Quickly view your ROI from all marketing channels. View key metrics for social media activity.